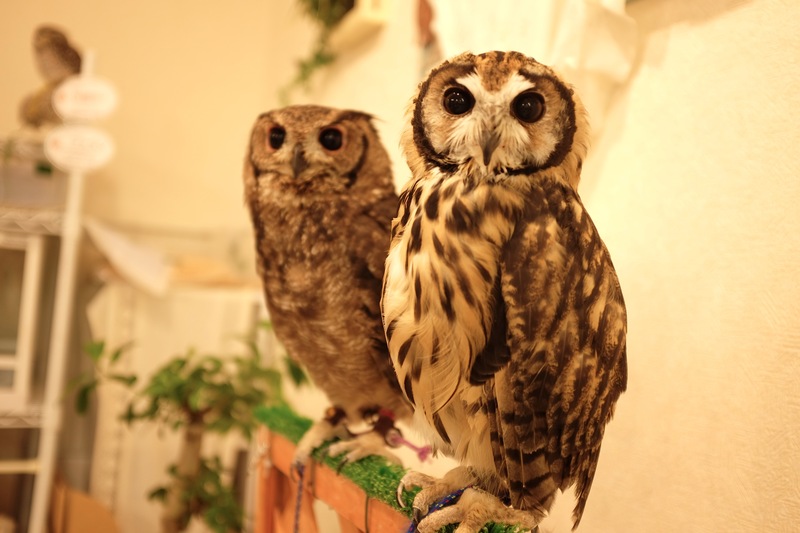 Japan is known to have the weirdest cafes, Ive been to a cat, dog, penguin, rabbit and reptile cafe and so far this is the first time that I actually encountered a Fukuro (Owl) cafe while walking around Tokyo. We were not able to make a reservation earlier so we just went there to make a later reservation. 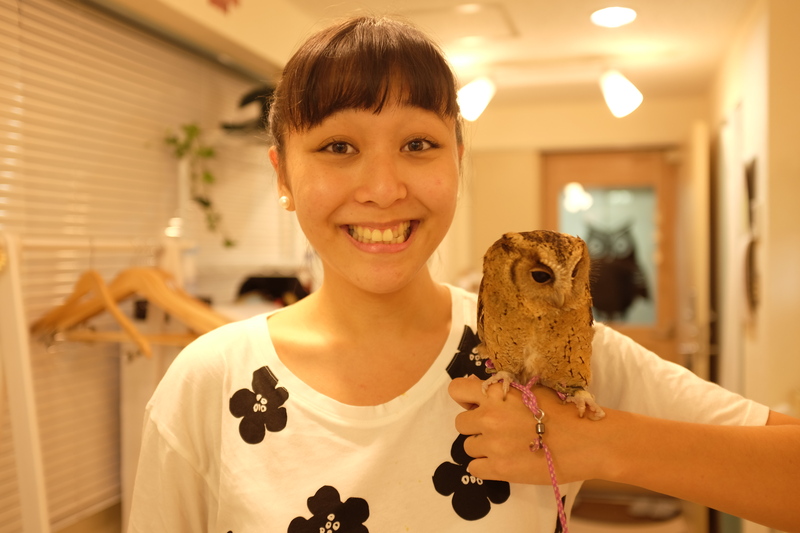 I have heard of many other owl cafes around Tokyo but this one was the most convenient to go to after class and we wanted to go to the famous bookstore across the building of where the owl cafe is. 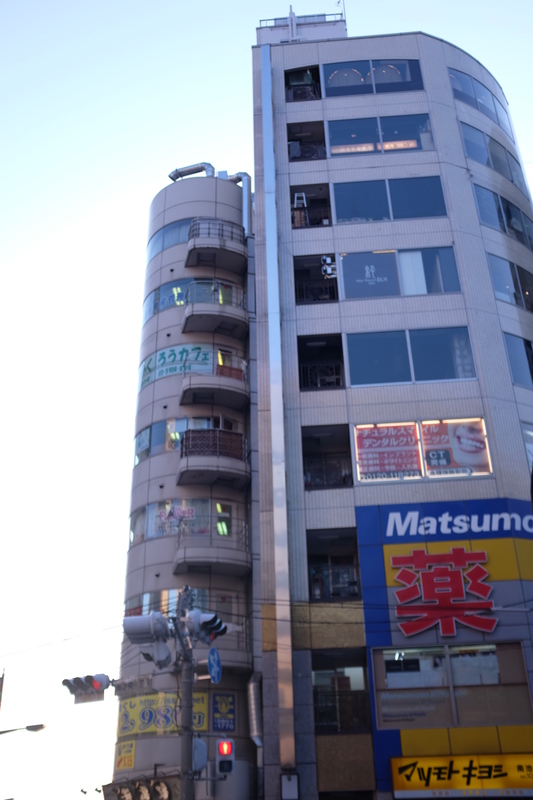 Location: If you are familiar with the giant Karaoke place in Ikebukuro right beside Jukudo Bookstore, the really big one. It looks like the picture below and it is located on the 6th floor of the building. There is a soba store downstairs where tons of people line up so you will not miss it. If you also know where Mujirushi (MUJI) is then you just walk straight ahead until the stoplight and it is the building to the right. Here is the bottom of the building. 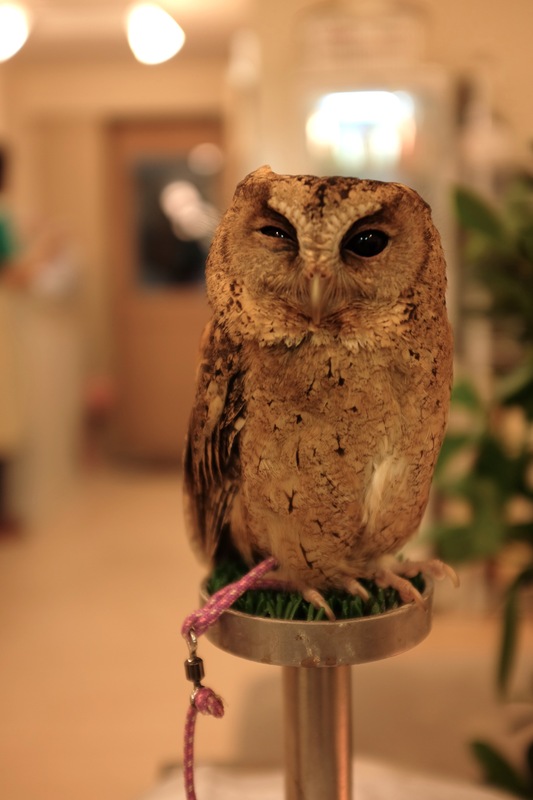 I really felt bad for the owls because when I asked them about how old they were. They told me that they were only about 3 months (was the youngest) to 2 years old (was the oldest). And they do not get to go out of the cafe EVER, they stay there all day and night and the windows and curtains are shut as they are tied to their posts. Of course it was nice to see an owl but I did not like the idea that I supported such cafe to keep them in such a small area. I understand that they are treated well and fed well but I wish they could be set free after a certain period. You can ask them to help you so you could touch the owls. Price: The price is ¥1400 an hour which comes with a free drink. 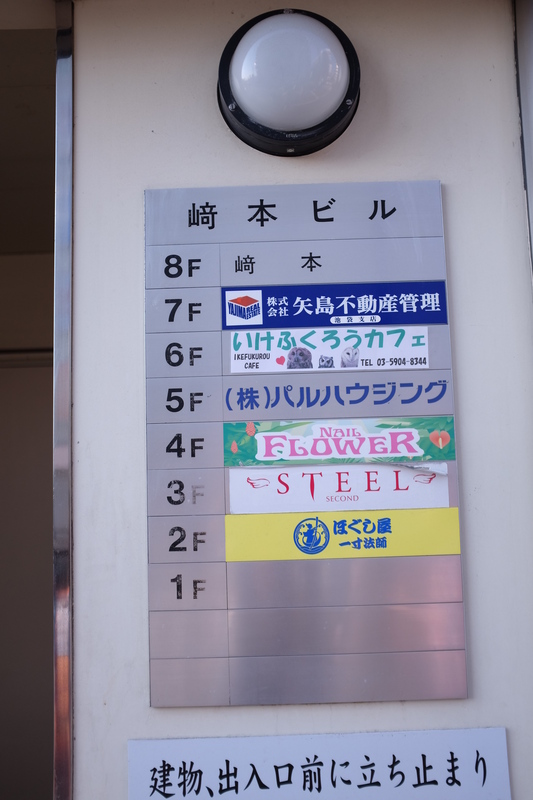 For alcoholic drinks and soft drinks is ¥1500. I would not come back to the cafe again, to be honest I really felt bad even just to blog about this since I felt like it was as if I was supporting animal cruelty. I wish that the owls could be given a place to stay where they could fly as it is very far from their natural habitat. Unlike cat and dog cafes where they are used to being domesticated and take turns everyday in entertaining us humans. Owls i think are quite different since they are not really kept as pets (right?) well I guess it would be nice to try once, but i would not try it twice. I agree with you there. It’s heartbreaking knowing that these owls are deprived of flight. I wish they would at least have an area where the owls can see the light of day or even natural air. Its really sad i think also since they know that the outside is just there. An owl flew out the door yesterday but could not even fly properly so i am assuming that they really do not even know how to fly anymore. 😦 that’s just sad. I hope someone would do something about this.